Interested in going back to Aincrad? This might make you want to jump back in. Sword Art Online: Hollow Realization is making its way westward as a brand new Vita release, and there are some important new details that dropped recently surrounding what you can expect out of the game. 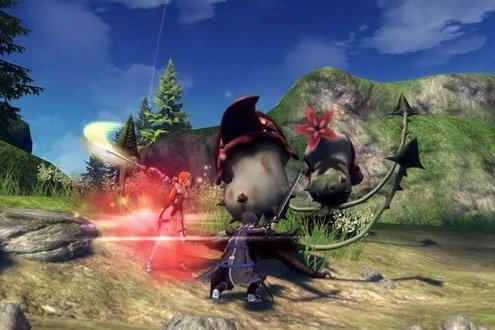 In an interview with the production team, Dengeki PlayStation gleaned some additional information about what we can expect from the upcoming adventure. 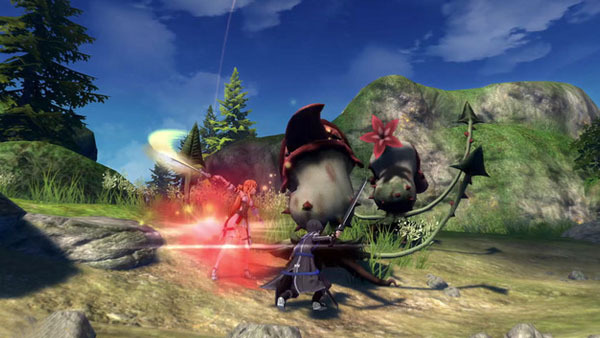 The game will follow protagonist Kirito as he begins from level 1 at the very beginning, so players get the sense they're taking part in something important, like Kirito's growth as a gamer and a player. The setting will reflect this as well, as it feels like Aincrad, but it's actually a different world that's been diviged into layers. Fighting and raiding will be done with a skill palette, and there is no auto-attack. Jumping will be a big part of the game, as will the Vita's touch pad. Online multiplayer is planned for the game, but that makes sense because the game itself is based on an online environment. What would really make sense is to make an MMO or a remake of Aincrad or something like it, but that's probably something we won't be seeing soon. In any case, this looks like an exciting direction for Sword Art Online fans!